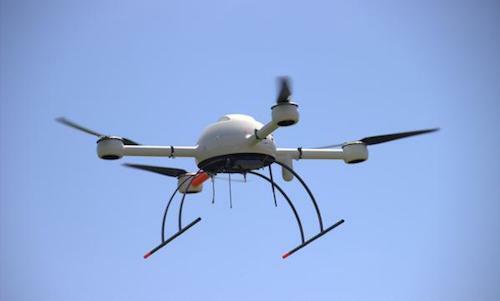 Today, insurance company Allstate announced that it has received permission from the Federal Aviation Administration to fly unmanned aircraft to research property claims made by its customers. The work will be done as a part of the Property Drone Consortium, which was granted Section 333 exemption status by the FAA. If a scenario that heralds an insurance claim occurs, drones could be used when physical access to the area is limited or restricted because of debris or local authorities. "Clearing this hurdle is a big step forward as we continue to research the benefits of using drones in our property claims service," says Allstate's Claims Vice President Shawn Broadfield. "Having the ability to use drones in areas hit hard by catastrophe where accessibility is limited will help us better assist our customers when they need us most. Allstate is always looking to leverage innovation as we help our customers protect what matters to them most." The consortium began working at the beginning of the year with aerial imagery company EagleView Technology Corp. For more information on the consortium, click here.